Peterborough, Ontario — June 29, 2017 — House of Kolor’s story starts with its founder, Jon Kosmoski. 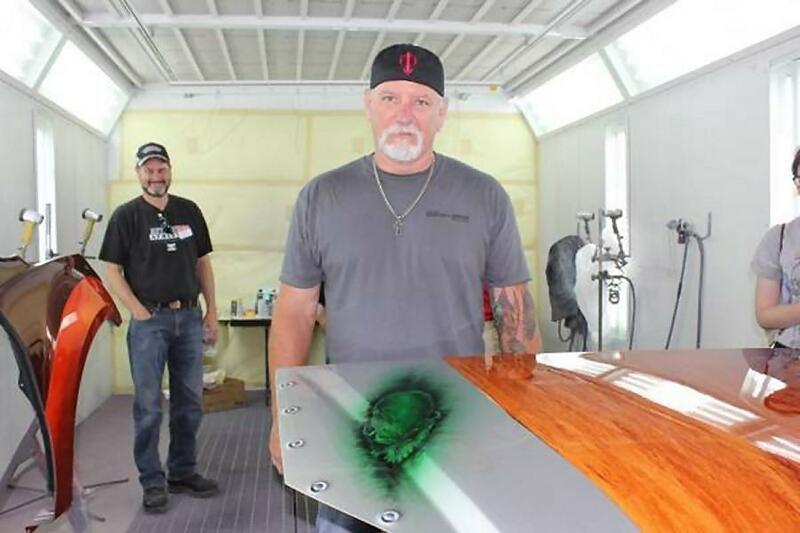 He got started in the custom paint business after he brought his ’40 Chevy into what apparently was the best paint shop in town for a custom paint job. When the car was returned to Kosmoski, however, he was disappointed with the quality. Kosmoski set out to change the standards of the custom paint industry, and began to learn about the custom painting craft himself. In 1956, he founded House of Kolor. Flash forward to today, and Ron “Flea” Fleenor, a custom airbrush artist, global trainer and Market Manager for House of Kolor products is travelling around the world to conduct in-depth presentations on how to use House of Kolor paint and to show what exactly the line is capable of. Fleenor brings local shops together to learn and indulge in the delight of watching an incredibly skilled painter work his magic. Wallace’s Conley Collision recently hosted a House of Kolor demonstration at its facility in Peterborough, Ontario. 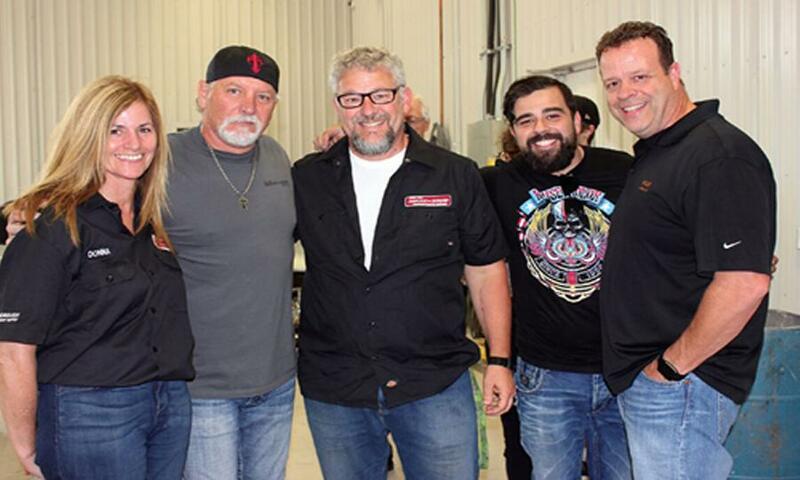 The event was organized by Peterborough Paint & Body Supply, a company now carrying the House of Kolor line. At the event, Fleenor put on three demonstrations, each featuring a different paint product. Within minutes of beginning one of them, he transformed an ordinary hood into a wood-grained visual masterpiece. When painting a fendor, he used a prism finish on an basecoat. This, as Fleenor puts it, “creates a fuzzy holographic effect on your paint job.” Fleenor shone a light onto the vehicle to demonstrate how the paint would look in sunlight, and a rainbow coloured halo appeared. According to Fleenor, House of Kolor’s plan is to visit as many shops as possible and show painters, technicians and shop owners what the company is all about. “Our success has been in getting the right people in place, travelling all the time and going shop to shop to show you guys how easy it is to work with these products,” said Fleenor. It seems to be working. The House of Kolor event drew a mighty crowd, who appeared to be collectively entranced by Fleenor’s work. For more information on House of Kolor, please visit houseofkolor.com. This story by Erin McLaughlin was originally published on the Collision Repair magazine website and is reproduced with permission. For more photos, please visit www.collisionrepairmag.com.